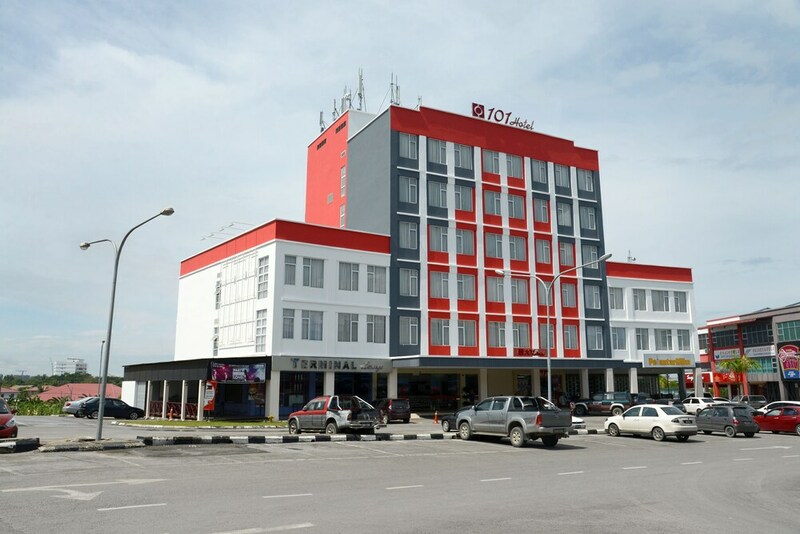 Located in the heart of Bintulu, this hotel is within 1 mi (2 km) of Taman Tumbina Bintulu, Assyakirin Commerce Square, and Tanjung Batu Beach. Wisma Bintulu and Kelab Golf Bintulu are also within 3 mi (5 km). This smoke-free hotel features a restaurant, a bar/lounge, and a coffee shop/café. Free WiFi in public areas and free self parking are also provided. Other amenities include a 24-hour business center, 24-hour room service, and dry cleaning. All 101 rooms offer free WiFi, 24-hour room service, and LCD TVs with satellite channels. Minibars, coffee makers, and free bottled water are among the other amenities available to guests. The hotel offers a restaurant and a coffee shop/café. A bar/lounge is on site where guests can unwind with a drink. This hotel offers access to a 24-hour business center. Wireless Internet access is complimentary. This business-friendly hotel also offers multilingual staff, complimentary newspapers in the lobby, and dry cleaning/laundry services. Complimentary self parking is available on site. 101 Hotel Bintulu is a smoke-free property. 101 Cafe - This restaurant specializes in international cuisine and serves breakfast, lunch, and dinner. A children's menu is available. Open daily. Terminal Lounge - Onsite karaoke bar. Happy hour is offered. Open daily. Start your morning with a buffet breakfast, available each day from 7 AM to 10:30 AM for a surcharge. You can order up room service around the clock.